To get success in the app developing business there are multitude of ways. But for most of the app developers success starts with the numbers of apps getting downloads. The solid app marketing helps to boost up maximize downloads and monetization. To optimize the app marketing, app testing is the fasting way to collect data that will show you the appropriate tactics to increase monetizing and downloads. App marketing is difficult to optimize just after launch as there are only few resources to test the pre-launch features such as screenshots, icons, marketing copy etc. until you launch the app, you will not get the real customer’s feedback to know what sticks in the market. Therefore you need to mentally prepare yourself to make necessary changes and upgrade in the following weeks. At first you need to understand the essentials of app marketing. The uniqueness of mobile app is that it is essentially its own advertisement and billboard. The majority of downloads generate from getting apps through the keyword searches on the mobile devices. As there is no landing page or promotion on website at the initial stage, your app has just title, screenshot and icon to sell itself instantly. Therefore you need to concentrate on external marketing by making little changes until they will optimize the market. After the initial download of the app, the market testing will go on. It is important to test the internal marketing in order to convert the revenue through IAPS and ads. Little changes in the copy or graphics or the entire ‘flow’ can make huge differences to increase your earning. The internal marketing is related to buyer’s psychology where you have to prompt them to take actions. Keeping in mind the internal and external marketing, you need to test the elements against each other in order to know to what users will respond. 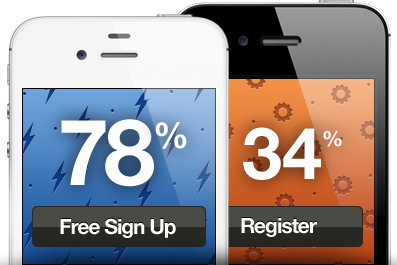 The most effective app testing is A/B testing or split testing which is the most fruitful way of marketing. However, strict A/B testing is not literally possible for app marketing as some platforms don’t permit to publish the identical apps. That’s why you need to use the ninja tactics to restructure the testing procedure by using two or more than two apps with the same demographics. Below is the description of four rules you need to follow for testing the app marketing. Changing two elements at a time will make you puzzle to know what makes the difference in downloads. As it is about optimizing, you need to find the best of each element at one time. And mark the changes to evaluate the results. As external marketing refers to initial download without which the users will never see the internal marketing, you need to optimize the external marketing first. The purpose of testing is not only making changes in the app, but to provide insight in the behavior of customers. The more you concentrate to know the customers need, the more you will successfully market you app.